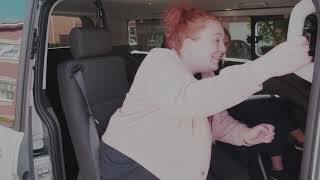 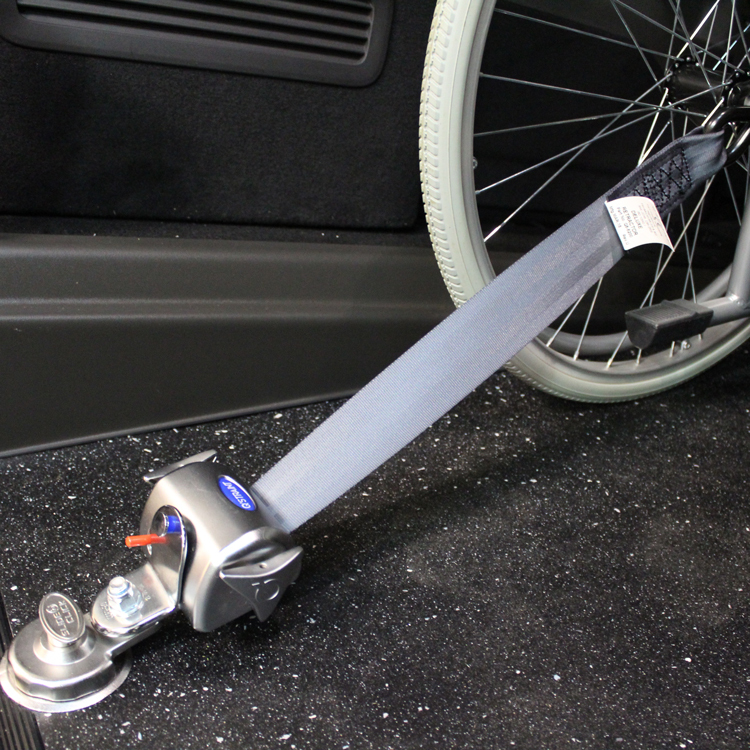 Ford Independence™ offers unique flexibility as a fully wheelchair accessible vehicle. 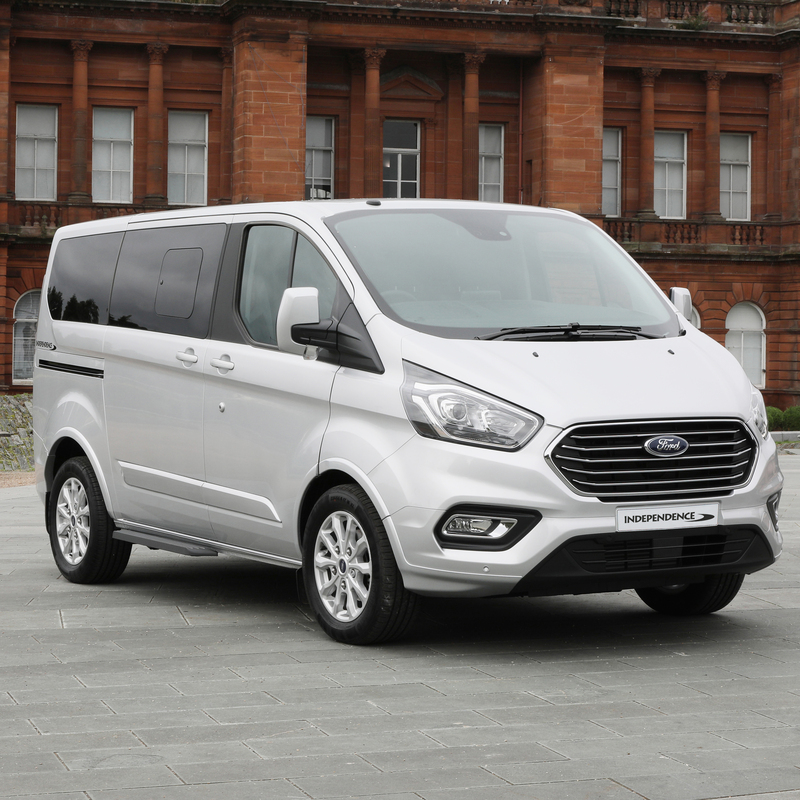 Based on the spacious Ford Tourneo Custom, this multi-passenger vehicle is ideal for larger families or small groups requiring wheelchair accessible transport. 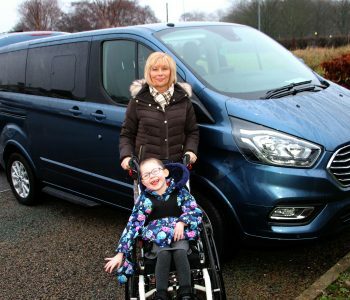 Combining excellent accessibility features and ample space, this adaptable disabled car is exceptionally easy and enjoyable to drive. 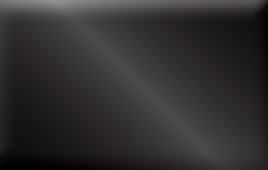 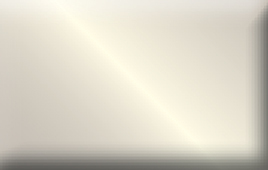 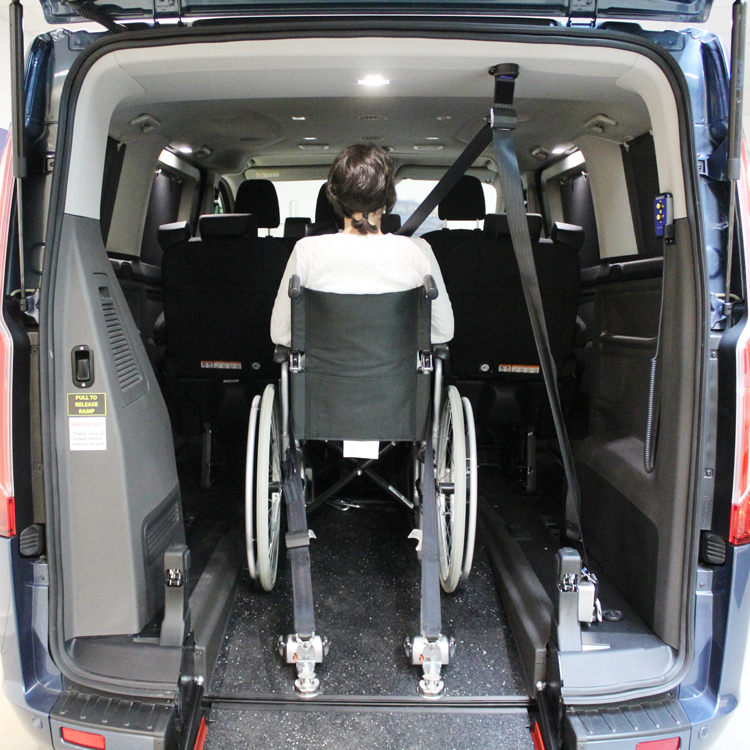 Independence™ provides optimum accessibility for the wheelchair passenger. 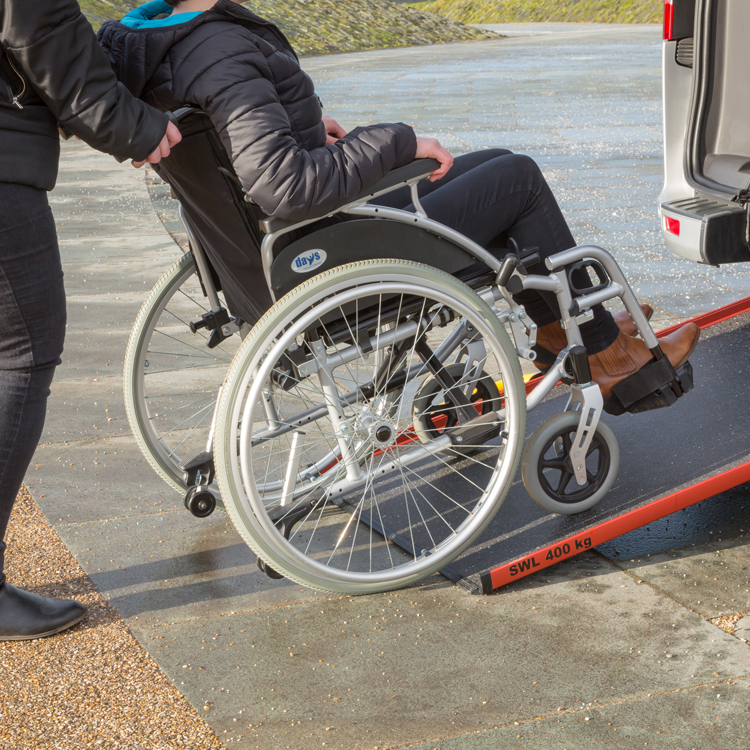 The low gradient EasyFold™ ramp makes wheelchair entry and exit easy and straight forward and, if you need a helping hand, there’s also the option of an electric winch. 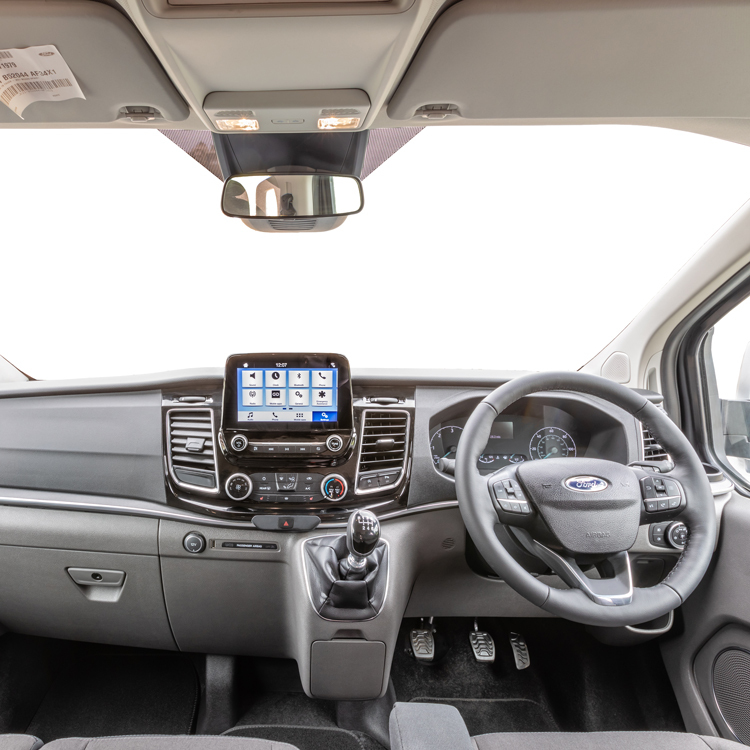 Safety is of utmost importance, so every Independence™ is fitted with high-quality wheelchair restraints and full lap and diagonal seatbelts for all passengers. 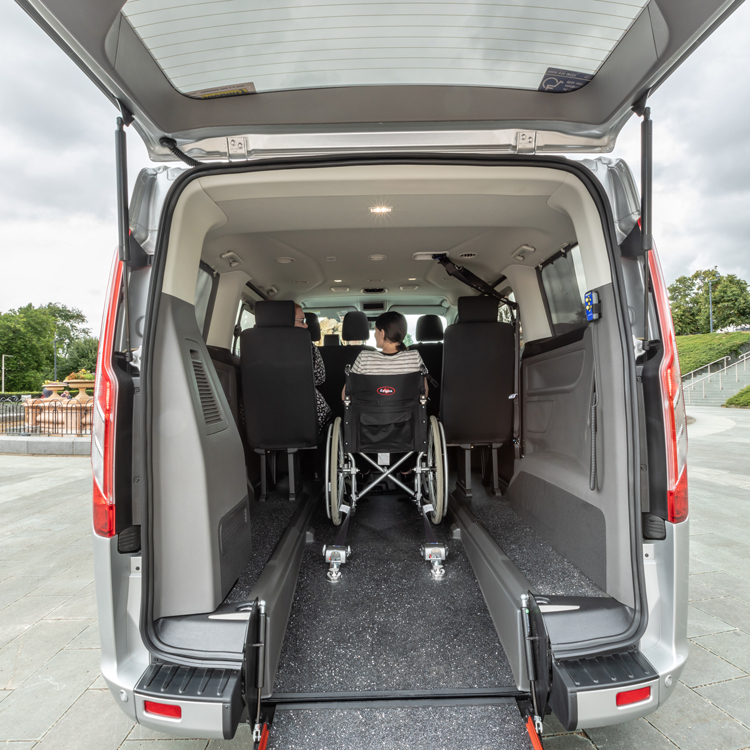 To meet different needs and preferences, Independence™ mobility cars are available with a variety of seating layouts and come in a choice of models and finishes . 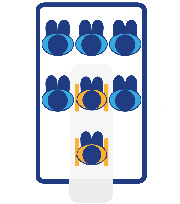 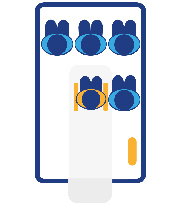 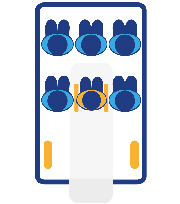 These include the popular Independence™ RS; the Independence™ RE, which offers extra headroom if needed; and the Independence™ Twin which can accommodate two wheelchair passengers. 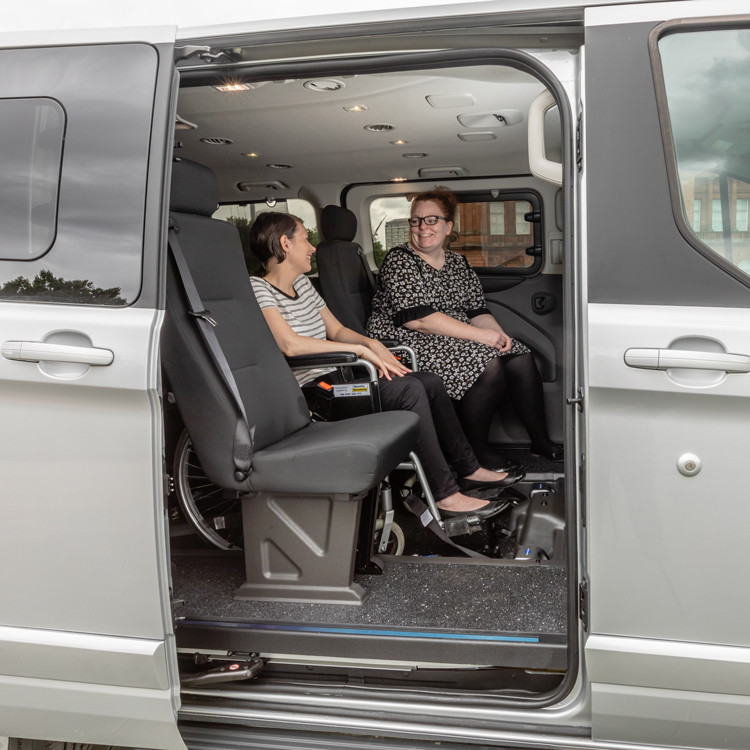 Ford Independence™ is different from other mobility cars in that, as well as various seating layout options, it gives you the option to choose where the wheelchair user is positioned within the vehicle. 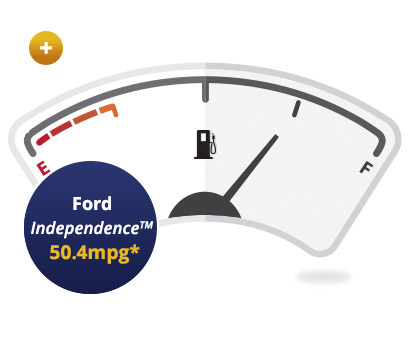 Powered by Ford’s cutting-edge diesel engine, excellent fuel economy comes as standard with Independence™ whether you go for a short or long wheelbase model. 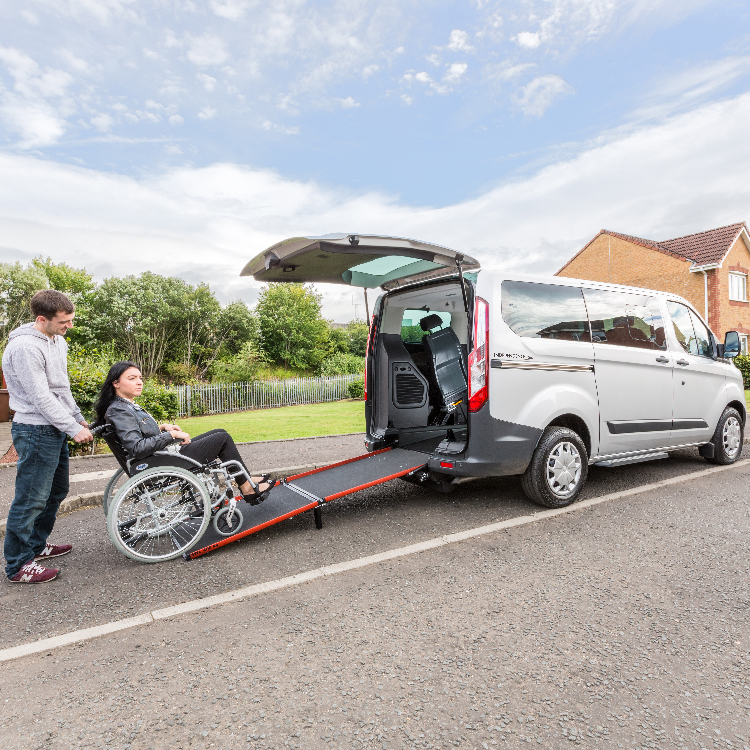 Delivering up to an impressive 50.4 mpg on an extra urban cycle, you can have your ideal wheelchair accessible vehicle without sacrificing on value for money. 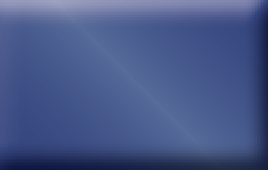 Independence™ WAVs offer a world of choice. 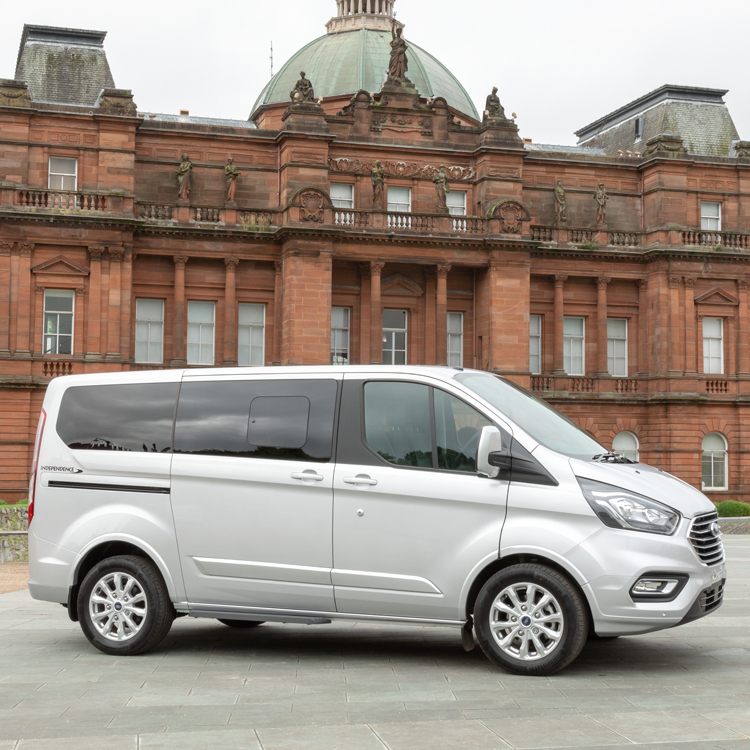 This versatile MPV provides options to suit most families or small groups. 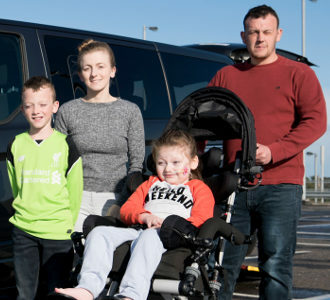 Whether you need extra headroom, more luggage space or even if you need space for two wheelchair passengers, the Independence™ can be built to suit your requirements. 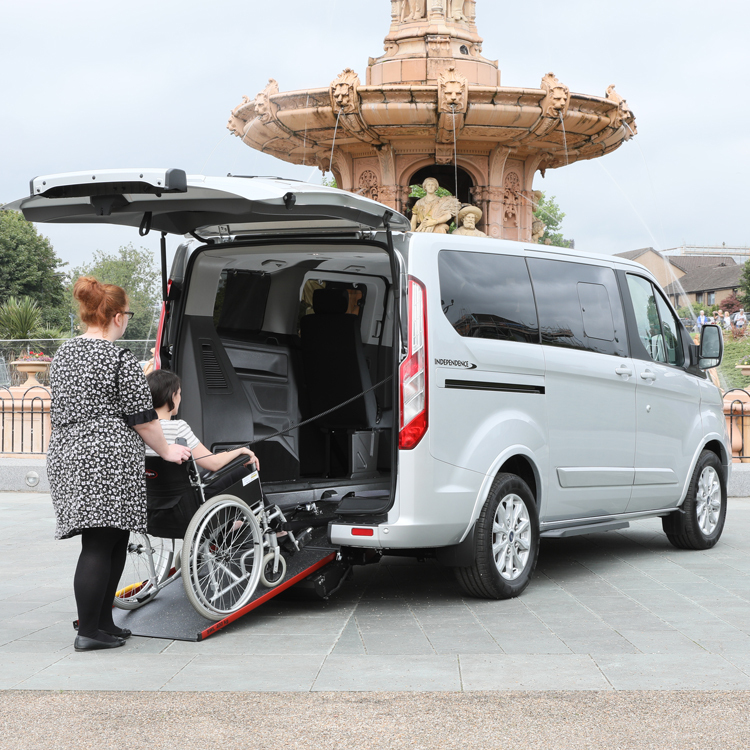 Our classic model Ford Independence RS™ wheelchair car is available in a variety of seating layouts, to suit the needs of disabled and able-bodied passengers. The RS model has an option which allows the wheelchair passenger to sit directly behind the front passenger for journeys. 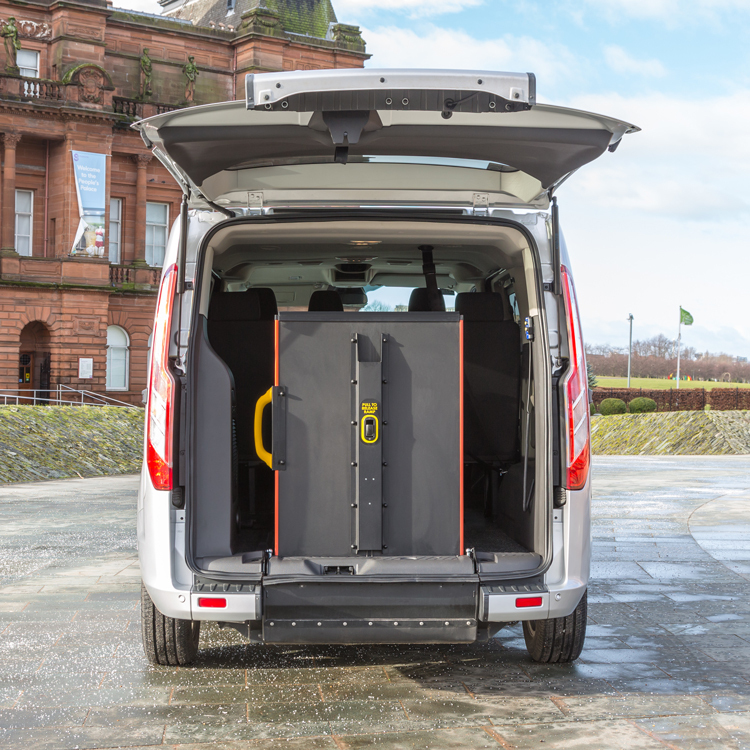 Independence RS™ can accommodate driver, wheelchair passenger and up to five seated passengers. 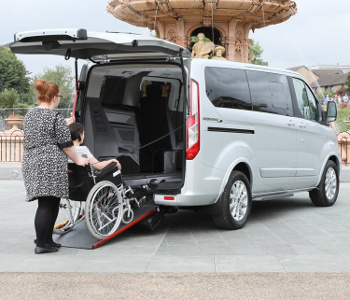 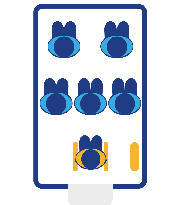 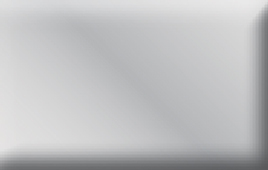 Independence RE™ can accommodate a maximum of driver, wheelchair passenger and up to five seated passengers. 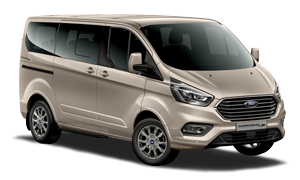 The Ford Independence Twin™ wheelchair car has been carefully designed to accommodate driver, two wheelchair passengers and up to four seated passengers. * Other seating permutations available on request. 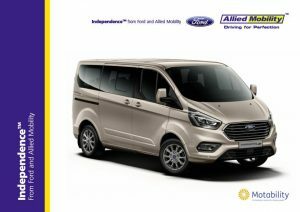 Please ask your Allied Mobility advisor. 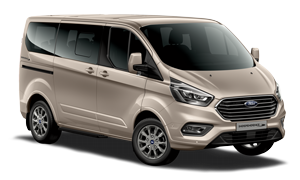 Despite the numerous seating options available, one thing remains constant with Ford Independence™ – first rate accessibility. 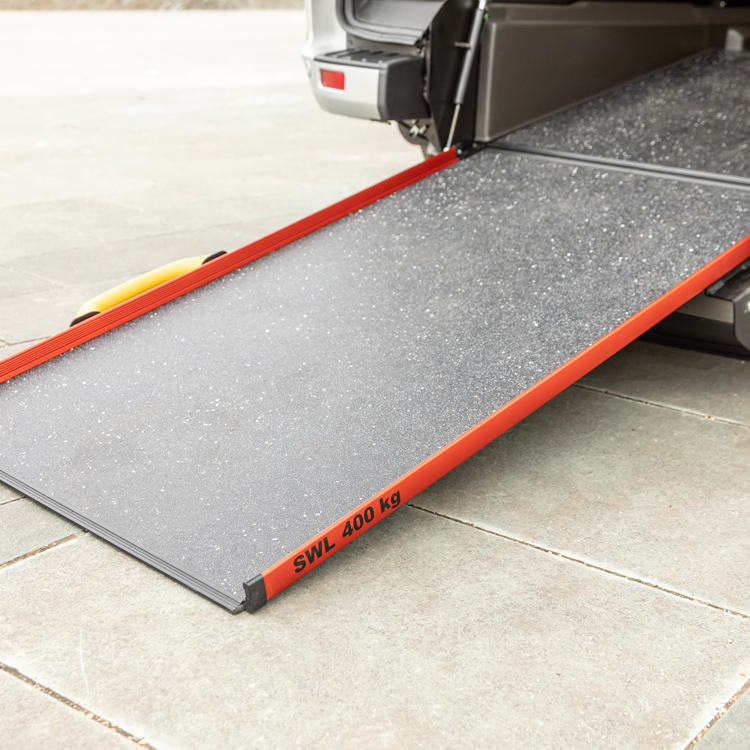 Independence’s EasyFold™ ramp delivers a low gradient, making wheelchair entry and exit easy and hassle free. There’s also the option of an electric winch if you do need extra help.